The Jet Calculator cannot take to the skies, but what it does is look really sleek on your desk. 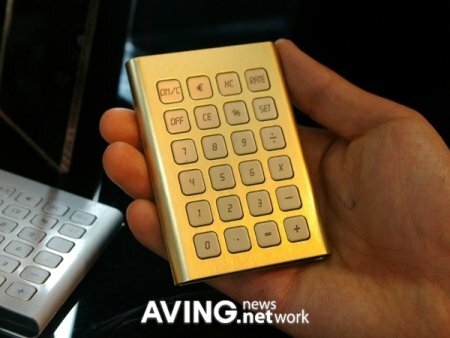 This is more the domain of cell phones, but all the Jet Calculator does is look extremely sweet in its aluminum-alloy body and gold/silver colored design. It will be made available in Korea sometime early next month, with the silver and gold models retailing for $43 and $53, respectively. I think most people will think this is some sort of newfangled cell phone at first glance. And it has no LCD? Hi Chris, BW, the LCD display is hidden and it will be unveiled only when the numeric keypad is slid downwards just like a cell phone. Check out the source for a few pics that explain it all 🙂 thanks for dropping by! This looks just like a classic Casio calculator my father had about 25 years ago, minus the obvious display that is! It does not seem to have scientific notations.